When most Americans think of Valley Forge the image of a cold, harsh and bleak winter landscape tends to spring to mind. They remember from their history books that this was the place where Gen. George Washington’s rag-tag Continental Army suffered greatly from the harsh elements. While Pennsylvania winters are rarely mild, the winter of 1777-1778 was not as harsh as what the army would later endure at Morristown, NJ. What truly plagued Washington’s army that winter at the Forge was a want of supplies: food, medicine, blankets, shoes, clothing, etc… If there was ever a time in the life of this army when the boys could have called it quits, when they could have disbanded and just gone home…..then Valley Forge would have been the place for it. 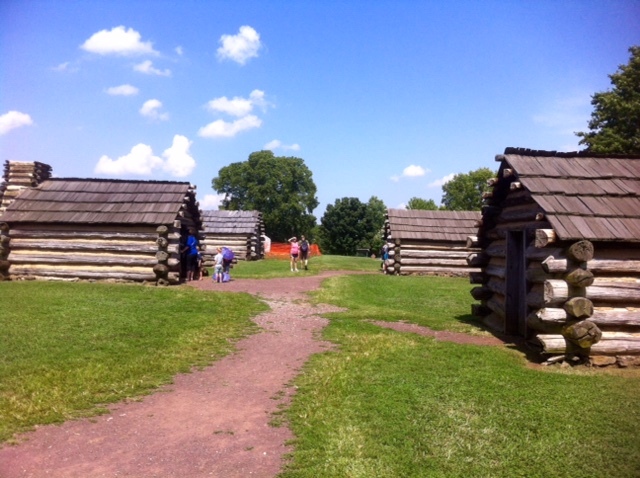 I took my family to visit Valley Forge National Historical Park near the Schuylkill River, west of Philadelphia not long ago. Out of season, of course. It was a warm day in July when the five of us meandered through the little visitor’s center and museum and then drove along the park roads trying to take in everything this immense site had to offer. 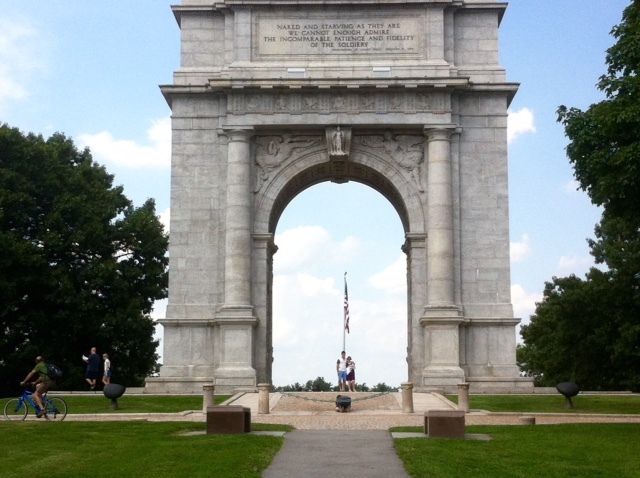 Entertaining three teenagers packed in a minivan isn’t always the easiest thing to do on a history tour but they seemed impressed with the National Memorial Arch, standing majestically alone on its green hilltop. 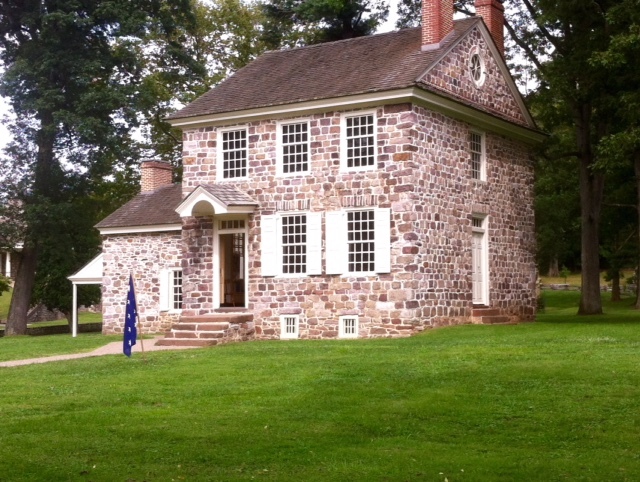 My attention, not surprisingly, was drawn to the restored cabins where the soldiers spent their winter days and nights and by the beautiful stone Potts House in which Washington lived and, along with his military “family”, used as headquarters. But this trip would prove to be an eye-opener for me. As we cruised along the park roads, through beautiful rolling hills, we came upon what is called The Grand Parade. It’s a large, grassy, open field bordered by trees that stands nearly in the center of the park. At first glance it appears no different than any other large, grassy, open field bordered by trees, but there is something extra special about this one. For this was the scene where, some 238 years ago, Washington’s regiments and battalions marched and drilled during that long winter. Standing on one side of the field is a statue; the man who’s responsibility it would become to train these men in the European military fashion. Friedrich Wilhelm August Heinrich Ferdinand Steuben, known as Baron von Steuben, came to America on the recommendation of none other than Benjamin Franklin. He was a veteran of the Prussian Army, he said; had attained the rank of Lieutenant General and served directly under the military genius Frederick the Great. 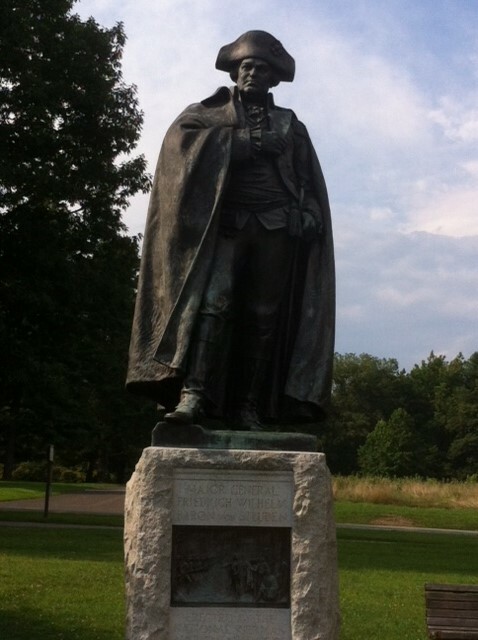 At Valley Forge that winter, he would serve as a volunteer and would be appointed temporary Inspector General. As the historical record would later show, Steuben did serve as aide-de-camp to Frederick the Great but never attained a rank higher than that of captain. While his claim to rank and privilege was questionable at best and downright false at worst, Baron van Steuben would nonetheless prove invaluable to the United States. As an officer of the Prussian Army, he had the knowledge and skill necessary for training men in the art of war. He was the right man, for the right job, at just the right time. The Baron spoke not a word of English; his orders had to be translated, but the manual of training he would compose was such that it turned a hungry, tattered, exhausted mass of farm boys and mechanics into a well-disciplined fighting force. He would mold them into an army. Unlike his British counterparts, George Washington was never to have a fully veteran army. Indeed, there were some men who served for the duration of the war but, by and large, enlistments expired and men returned to their homes, farms and families. But because of the training provided by this somewhat eccentric European who spoke and swore in German, the soldiers of the Army of the United States would go on to match the best in the world. On the field at Monmouth Courthouse in 1780, these men would prove their mettle. While the initial attack stalled, due mainly to poor leadership, the defensive position they would establish, under the watchful eye of their Commander-In-Chief, would prove the worth of their training. These lads stood off the best army in the world. And it all came together right here, on The Grand Parade at Valley Forge. As I stood beside that statue on a warm day in July and gazed out on this wide open space, in my mind’s eye I could see those boys drilling; first by squad, then by company, then by regiment. I could see it all unfolding before me on this unassuming field. It looks like any other field you may pass on a drive in the country, but this field is where the war would change for the United States. 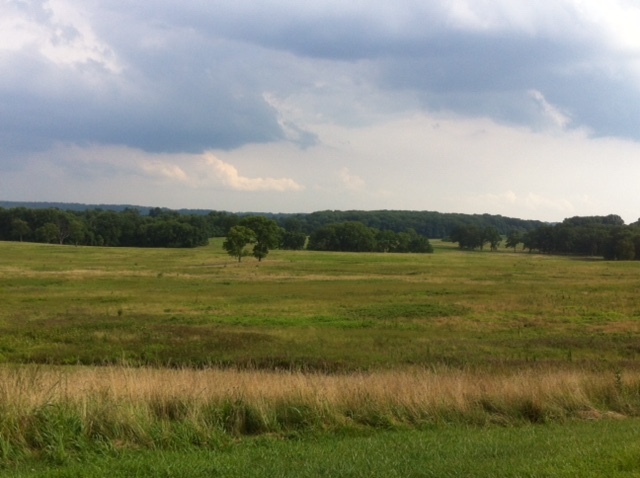 This field, by God, was the birthplace of the American Army. This entry was posted in Uncategorized and tagged Baron von Steuben, Valley Forge. Bookmark the permalink. I’ve been researching the Revolutionary War soldiers (and one sailor) that were reinterred at Arlington National Cemetery starting in the 1890s (there are 10). The most famous is Pierre L’Enfant who did the original layout for Washington DC. L’Enfant did the drawings for the military manual that Von Steuben wrote for the Continental Army. You can get a facsimile of the 1794 version on Amazon that has the L’Enfant illustrations.